“They were searched and then forced to undress completely,” an activist said. 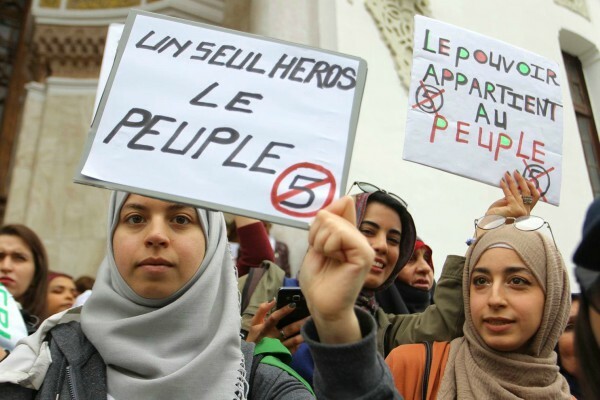 Rabat – Police forced four Algerian women activists from the Democratic and Social Movement (MDS) and Youth Action Rally (RAJ) political parties to undress on April 13 at a police station 15 kilometers southeast of Algiers after arresting them. 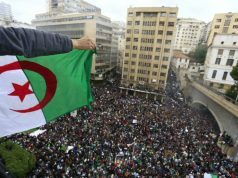 Several activists told Algerian news outlet TSA that police arrested the four activists before they started their protests at the Grande Poste in Algiers, home of the 8th week of protests against ousted Algerian President Abdelaziz Bouteflika and the current government. The activist added that security forces did not treat male activists in the same way. TSA also interviewed Ines, one of the activists arrested on Saturday, April 13, and she narrated the mistreatment she suffered from at the police station. “Saturday … we were in a cafe next to the Grand Post. As we were about to meet at the stairs for our daily gathering, the police came to arrest Jalal, an activist like us. I started filming the scene. A policeman snatched the phone from me and loaded me up with the others while insulting me. We were taken to the Baraki police station. On the spot, a male police officer searched the bags of the girls, which he does not have the right to do [because] it must be done by a woman,” said the activist. Ines added that the police arrested 10 activists, four women and six men. She explained that a female officer came and summoned the women activists one after another into a room where she asked them to completely undress. The activist added that the police did not release them until around 1 a.m.
“These kinds of measures should not be reserved for activists but for potential dangerous individuals, delinquents, [or] those caught with drugs,” he said. 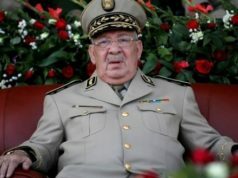 He added that the activists were targeted “because they were arrested even before the rally began.” Fersaoui asserted that the security forces had wanted to humiliate activists. “I would ascribe this act to an attempt to weaken and break the popular protest movement,” he commented. France 24 reported that the authorities released the 10 activists who had been arrested on Saturday. On Friday, clashes erupted between police and protesters. Riot police fired tear gas and used water cannons to disperse the protesters. 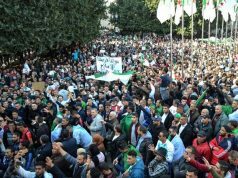 Protesters in Algeria have been calling for a radical change to the political system since February 22. The protesters are now calling on the interim president, Abdelkader Bensalah, to step down. 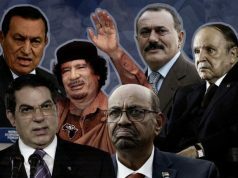 Bensalah said that his interim government will hold the 2019 elections on July 4. 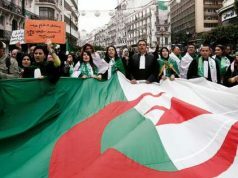 However, Algerian magistrates and political activists are calling on protesters to boycott the election.